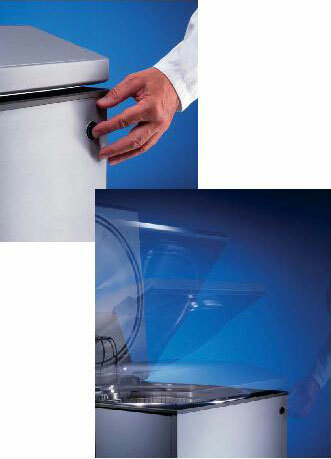 guarantees rapid, safe and reproducible sterilization processes. All components and options are designed with a long useful life in mind. This ensures problem-free routine operations. Our new VARIOKLAV steam sterilizers 75 S and 135 S offer the combined advantages of a double-walled sterilizer (energy savings, optional pre-heating, efficient drying) and a single-walled sterilizer (fast processing, excellent recooling, low cost). Operating the new automated lock is child's play. 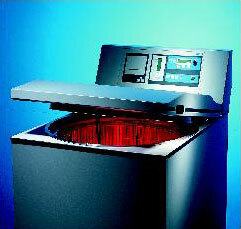 We use only high-quality industry-standard components. 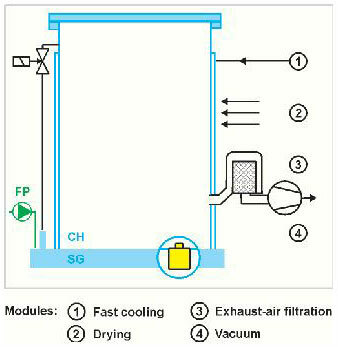 Vacuum pump for simple and fractionated pre-vacuum and for drying. 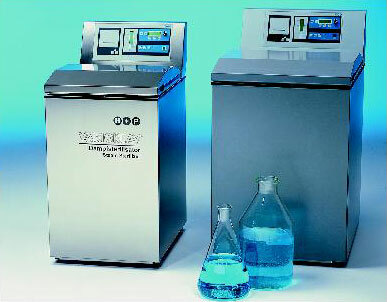 The VARIOKLAV 75 S and 135 S steam sterilizers with their ultra-flat steam generators in their double bottoms combine the advantages of a double-walled device -low energy consumption, permanently ready for use, effective deaeration and drying by built-in jacket heater - with those of a single-wall device -fast cooling. The chamber is free of furnishings and feed water and therefore easy to clean. 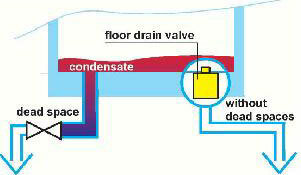 can be stored by the control unit, depending on the modules and options installed. 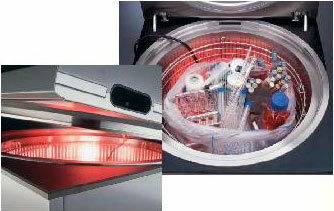 faster heating by pulsating steam. 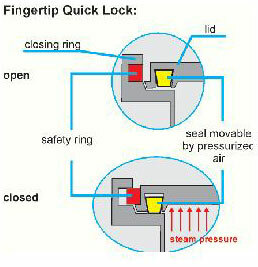 seal closes the sterilizing chamber, making it pressure-tight and vacuum-tight. A comprehensive program package for chamber and steam generation that controls both pressure chambers separately offers extra versatility. • Shortens batch processing times by up to 30 % Aquastop at sterilizer water intake avoids water damage and turns water supply lines off even in standby mode. 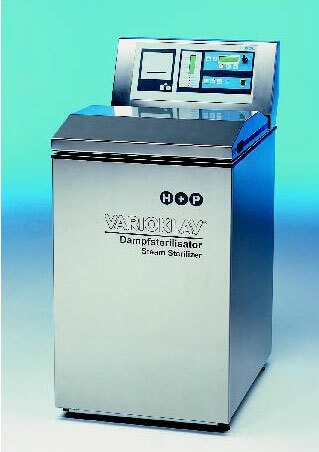 VARIOKLAV Steam Sterilizers Order No. 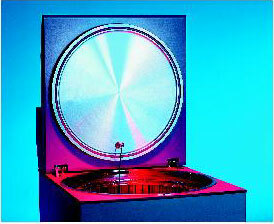 Product temperature is attained more quickly through controlled temperature increments. 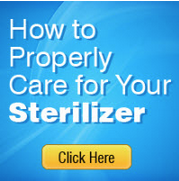 No overheating of medial, timer-controlled sterilizing times, includes flexible liquid sensor. 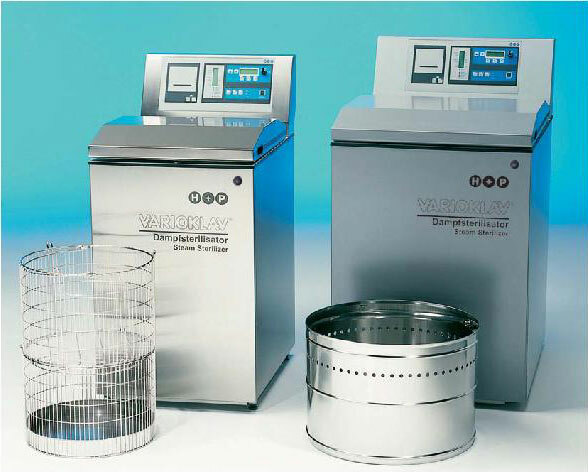 These innovative VARIOKLAV steam sterilizers represent the current state of the art and guarantee rapid, safe and reproducible sterilization processes. This ensures long-term problem-free routine operations.